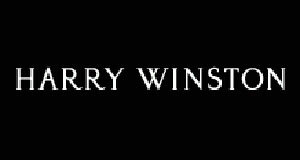 New watches by Harry Winston are called Midnight Monochrome, the creation of which was inspired by the beauty of design with natural slate. It seemed that this material had to use the wizard to create the dial, but it is not the case. To use slate would be impossible because it is too brittle and crumbles easily. To cut out a small piece of it, even for dial is impossible. Therefore, designers use the metal with the effect of slate. The company Harry Winston introduces two novelties: dials with light silver and gray. One of these new items (with a silver dial) is decorated with 103 diamonds weighing 0.95 carats. The dial with hour markers, hour and minute hands and a date aperture at the 6 o`clock position (the version with gray dial), inserted in a round case in rose or white gold. On the front side of the case and on the back cover is installed a sapphire crystal, through which is possible to observe the work of the automatic movement with 45 -hour power reserve and features a quartz movement with hour and minute display. The Midnight Monochrome watch comes on a leather strap in a black or satin strap.